Vickie loves seeing the excitement of the patients when their braces are off! 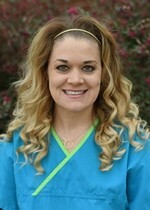 She has worked for Parker and Moore Orthodontics for two years as a treatment and scheduling coordinator. Vickie and her husband James have two children, Cody and Jaymie, and she spends her free time with them and the family dogs. 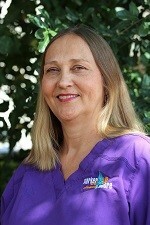 Pam has managed the Hillsboro office location for thirty years and loves her job! She enjoys officiating volleyball games and has spent thirty-nine years on the court. She and her husband Larry of thirty-six years have two children and three grandchildren. 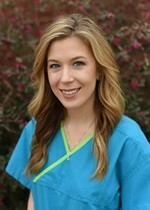 Val has worked with Dr. Parker and Dr. Moore since 2016, and loves their positive attitude and love for their patients. Val is happily married to Chad, and they have two hilarious, cute and fun kids, Maverick and Savvy. Val and her family are passionate about God and world missions, and she has traveled all over the world leading mission trips. Jennifer has worked at Parker and Moore Orthodontics for two years and loves that the doctors make every day fun for both the staff and patients. She is married to her wonderful husband, Lee, and has two adorable boys, Logan and Lincoln. Jennifer and her family are members of The Avenue Church, and she loves to run and workout in her spare time. 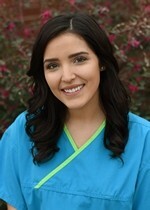 Alexa is orignally from Houston and graduated from Southwestern Assemblies of God University with her degree in Business Management. She joined Parker and Moore Orthodontics in 2018 as our Financial Coordinator. Alexa enjoys spending time with her fiance, hiking, and all things coffee! 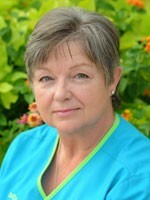 Judi began working for the practice in 1985. She is known as the “Lab Lady”, she enjoys the challenge of redesigning traditional appliances to custom fit patients with non-traditional needs. She has two sons, one who lives close by with her three grandchildren, and the youngest who is serving in the US Navy. Her close friendships made with co-workers over the years is a favorite about her job. 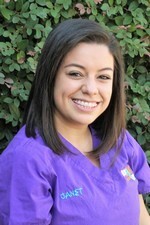 Katie loves working with both doctors and interacting with patients. 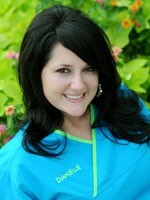 Her love for Parker and Moore Orthodontics shows in her 10 years of dedication at the practice. In her free time Katie enjoys volunteering at her church, running, with friends, traveling with her family, and her morning coffee. 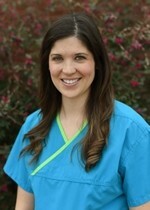 Danielle has been working with Dr. Parker and Dr. Moore for eight years. She and her husband Mike have been married for fifteen years and have two children, Bayleigh and Hudson. Danielle enjoys traveling, fishing, the beach, and cheering on America’s team….Go Cowboys! Crystal loves seeing our patient’s smiles and how happy they are after receiving treatment. She has been with our office since 2014. Crystal spends her time with family, traveling, weight lifting, and teaching workout classes. Kristina joined Parker and Moore Orthodontics in 2014 and enjoys working with the patients and watching their smiles transform. She loves to spend time with her husband, Dalton, and her two dogs, Lewis and Ares. Being with her family and friends is what brings her the most joy. 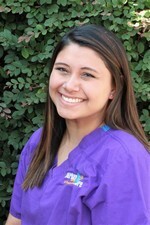 Landri's favorite part about her job is creating a personal relationship with patients and seeing a genuine smile on their faces the day their braces are removed. 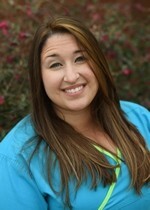 She has worked with patients as an orthodontic technician for three years at Parker and Moore Orthodontics. Landri likes to bake, travel to new places by the beach, and spend time with her husband Travis and their chocolate lab, Boomer. 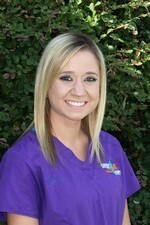 Brianna has worked at the office for three years as an orthodontic technician. She likes seeing the patient’s transformation at the end of treatment. She enjoys traveling, working out, competing in challenging races, and attending sporting events with family and friends. 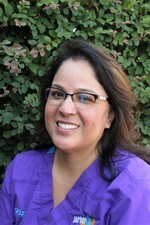 Janet joined Parker and Moore Orthodontics in 2017. She loves building great connections with patients and celebrating with them when their braces come off. Janet enjoys spending time with her beautiful family and friends, going on adventures, and most of all shopping! 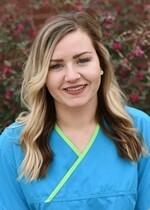 Shelby has several years of experience in the dental field, and she joined Parker and Moore Orthodontics in 2018. She loves working at our practice because of the relationships she is able to build with our patients. She has many hobbies including hunting, traveling, working on cars with her fiance, and enjoying time with her family.